This is the fourth instalment of my predictions for big tech trends for 2011. You can read predictions 1, 2 and 3 respectively. Remember the days when you didn’t have a smartphone? I only switched over to an iPhone in Nov (let me add that this was after some cruel bullying by all the other geeks in Appleton Tower about how the screen on my Nokia N95 didn’t ‘work’ – peer pressure is harsh 😉 and I don’t think I could ever live without it. But sometimes it’s hard to remember that people with smartphones are the exception rather than the norm. According to a recent report published by Nielson (Jan 2011), just under 70% of the phones are non-smartphones – a statistic that is sometimes forgot when the discussions about iOS vs android (vs Web OS) are dragged up. This really means there is a huge market out there for any startup that can make feature phone services. Hailed as the next big startup – GroupMe – is a service which allows people to set up little groups that they can text with a single number. These groups can be set up for an hour, a day or a week. It just makes communicating with a bunch of people fairly easy. One scenario would be being on a long weekend with a bunch of friends; you can set up a short number to allow people to communicate with each other when everyone is off doing their own thing. The web isn’t just about smartphones and I think this year, with the upcoming success of GroupMe, we’ll see a bunch of new startups which will shun away from smartphones only and tap into the huge market of non-smartphones. Been enjoying your predictions lately. Agree with the 70% figure but this stat needs to go hand in hand with the rate of smartphone penetration into the Market. The improvements in the network bandwidths and the desire to flood the Market with loads of new smart phones will ultimately bring the cost down and the costbto switchover will be negligible going forward. Your N95 will be included as a “smartphone” in that survey, I suspect. 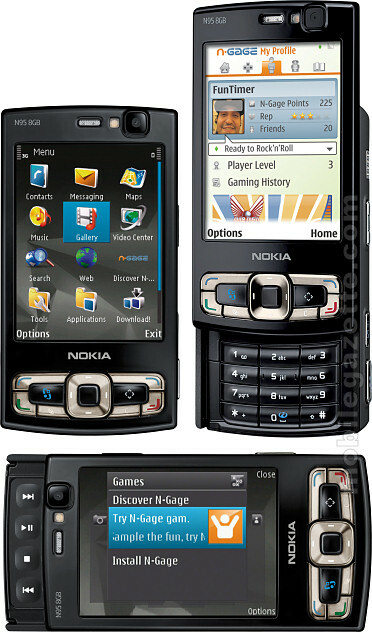 The N95’s Symbian OS usually counts as smartphone. The smartest phone in the world with a flat battery is nowhere near as good as a dumb-phone with half a charge, in my experience. There are real advantages to having a phone that doesn’t do much but make calls and lasts a week on a single charge. But I should shut up, I work on smartphone technology. I had to ask. Does building a well-established blog like yours require a lot of work? visiting this web site dailly and get nice information from here daily. out. Use one set up for sharks and use the other to catch smaller fish for bait. be free of any pain and discomfort.